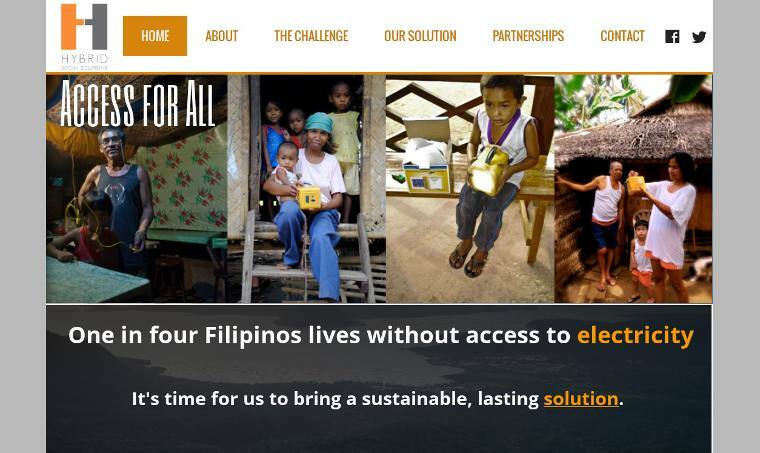 One in four Filipinos (20 million people) lacks access to electricity. Millions more do not have reliable access to power or safe drinking water. Most of these people are located in rural villages that are isolated in costal or mountainous areas. Without electricity, communities lack the basic resources for development, trapping them in a cycle of poverty, illness, and environmental waste. Kerosene, the fuel most commonly used in place of electricity, is a costly, inefficient, and dangerous alternative. Families spend approximately 10% of their monthly income on kerosene, and 40% of those who use kerosene experience mild to severe burns. As an answer to this problem, the organization HSSi (Hybrid Social Solutions Inc.) has pioneered an innovative “ACCESS” program to provide rural Filipinos with solar and crank powered technologies. HSSi arranges financing through community organizations, organizes local technical support networks, and provides user training to ensure sustainability. The ACCESS Program aims to empower individuals, families and communities by providing them sustained access to electricity and basic durable consumables. To date, HSSi has collaborated with over forty community organizations across the Philippines to provide 30,000 individuals with solar power.